Creating a Chestnut Tree House Tribute is a very special way of remembering, celebrating and sharing the life of a loved one whilst making a difference to the lives of the children and families we support. .
We understand the importance of remembering someone special and sharing memories of those we love. An online Tribute is a way to do just that. Many of our supporters have found these a comfort as well as a place to share photographs or light a candle, which will last a lifetime. Heartfelt messages and memories can be added for years to come by friends and family, no matter where they are in the world. If you wish, you can also use your Tribute to support the work of Chestnut Tree House by raising funds in memory of your loved one, through one off donations or linking to a JustGiving Page. We want MuchLoved to be a collaborative partnership. Our role as the MuchLoved team is to listen and respond to your suggestions and feedback so that we can improve the service for you. 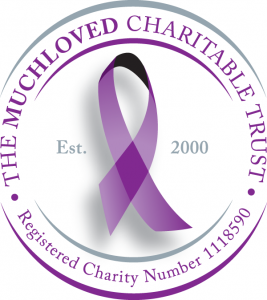 MuchLoved is the working name of The MuchLoved Charitable Trust which is a UK Registered Charity (No. 1118590). The work of the Trust would not have been possible without the input of time, ideas, money and hard work by our supporters. We thank you for your generous support. "I can’t put into words what an amazing place Chestnut Tree House is. It is rare to find somewhere of sanctuary and that is what Chestnut Tree House is for me and my family." 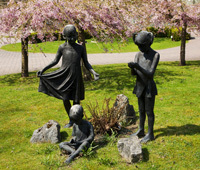 A young adult at Chestnut Tree House. There are so many ways you can help raise funds for Chestnut Tree House; whether you are taking part in an organised event or putting on your own event, our Fundraising Team is here to support you. Any amount raised will directly help children with life-shortening conditions and their families. Without our supporters we wouldn't be able to provide care to those who need it most. Please contact our Fundraising Team on 01903 706351 for more information.